The company - Grupo Jamsa S.A. Developing and construction company with an experience of more than 50 years in the management of real estate developments. Juan Antonio Mora, started as constructor and developer back in the 60’s, to create the company in the 70’s, named after him JUAN ANTONIO MORA S.A. (JAMSA), commencing then, a long business career. 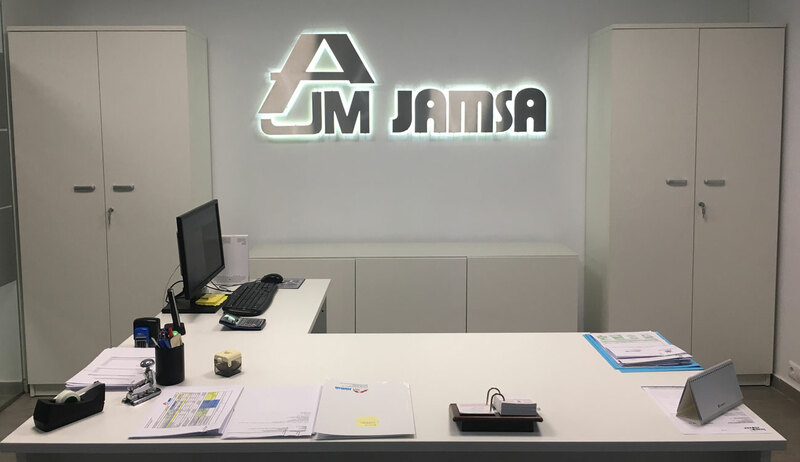 Nowadays, GRUPO JAMSA, has offices in Madrid, Santander, Córdoba and Marbella. Llanes (Asturias) - Los Barrios (Cádiz) - Manzanares (Ciudad Real) - Ciudad Real - Lucena (Córdoba) - Córdoba - Las Palmas de Gran Canaria - Telde (Las Palmas de Gran Canaria) - Tenerife - Teguise (Lanzarote) - Madrid - Marbella (Málaga) - Palma de Mallorca - Santander - Castro Urdiales (Cantabria) - Loredo (Cantabria) - Reinosa (Cantabria) - Ruiloba (Cantabria) - Sevilla - Zamora - Coral Gable (Miami) - San Pedro de Macoris (Santo Domingo) - Timisoara, Bucharest (Romania). We want to be the developer and residential construction company of reference, leading the market due to our transparency, honesty, effort and persistence. To satisfy the needs of our clients by innovating day by day and constantly improving the quality standards and reliability on the services offered. We consider the client as our priority when making a decision, carefully listening and searching and adapting the needs and expectations to adequate our product to its demands. Each project is a constant renovation in which we incorporate new ideas and practices for the satisfaction of our clients and improvement of the ecosystem. Thus, our solvency and seriousness in the fulfilment of our commitments and guarantee in the execution of our building works are demonstrated day by day by the facts.